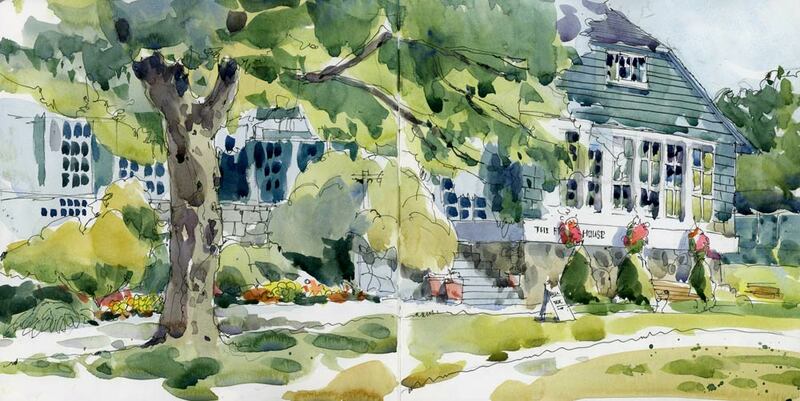 I really like your sketch of the harbor with the tall evergreens behind the lodge. Reminds me of the tall dark evergreen trees in the N.W. and how they make great background settings. 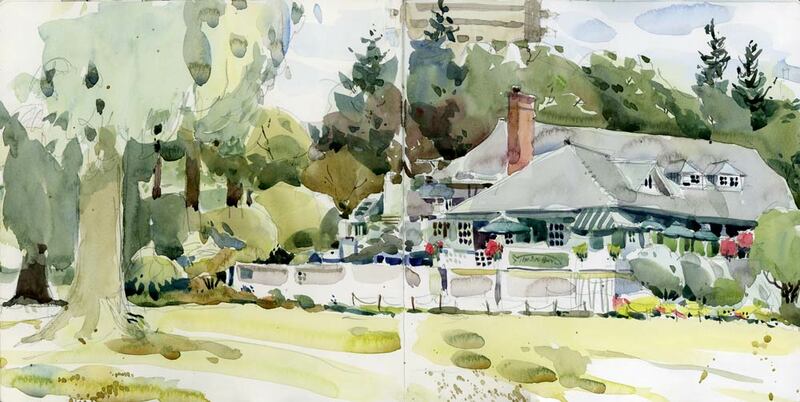 You might be interested in Canada’s artist Michael Kluckner who has published several watercolor scenes of Canada. 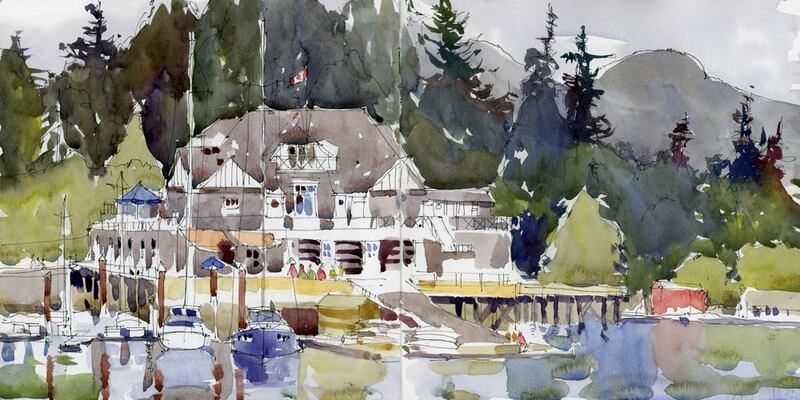 My favorite is his British Columbia in Watercolor. He has captured the beautiful sunlight coming through the dark evergreens. I live across the border in U.S. and can relate to these beautiful scenes he has painted. I love when people send me links to artist’s work. At first glance, I like his work quite a bit, especially his scenes of desolate buildings. He is definitely worth a second look! I enjoy reading his writings along with the sketches about the areas he paints. Some of his sketches have wonderful highlights showing through windows, on buildings and through the shadows of the trees. These are beautiful,Shari. You have really captured the essence of the evergreens. I have enjoyed all your postings from the Pacific Northwest! Thanks so much Evelyn. I am here with family so no group activities this time but I will be back for sure! I allready said that I love your drawings. I will be taning some watter color lessons after my hollidays!